As We Already know, Python Is Very Powerful Language. So, Today In This Post I Am Going To Write About How To Write Ludo Game In Python Using Tkinter Package? Q 1. What Is Ludo? And How To Play Ludo Game? Ans. Ludo Is A Simple Type Of Board Game Originated In India Somewhere around the 6th Century That Can Be Played By 2 Or 4 Players. In This Game, All Players Have To Race Their Tokens From Stating Point To The Finishing Point According To The Roll Of The Dice. Q 2. How To Write A Ludo Game In Python? Ans. First, I Want To Clear One Thing That Writing Any Game In Any Programming Language Is Not Easy Work Because To Write Any Game, We need Sharp Mind, Good knowledge Of Programming Language And Hard Work. So, Before Writing Any Game, First Make Your Mind Strong. 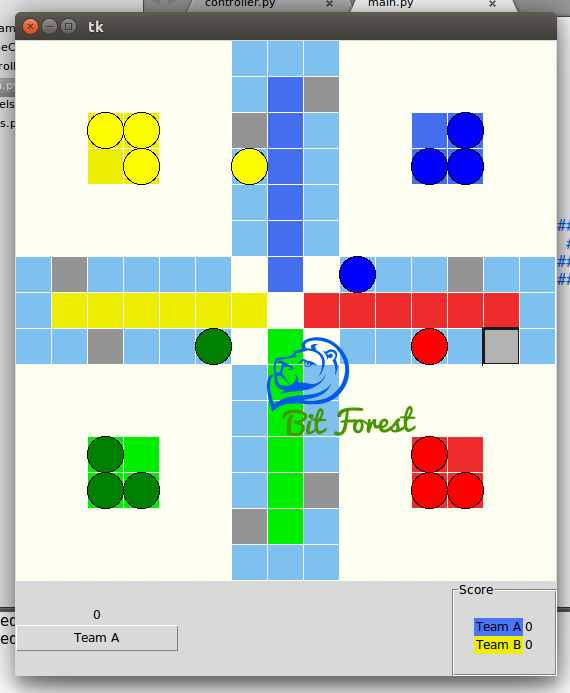 To Write This Ludo Game In Python We Will Use MVC Method. Here, MVC is Stand For Model, View And Controller. And Controller Is For Handling All Functions. To Make Our Game More Easy To Write Here, I am Going to divide Our Game Function In Parts According To MVC Method. 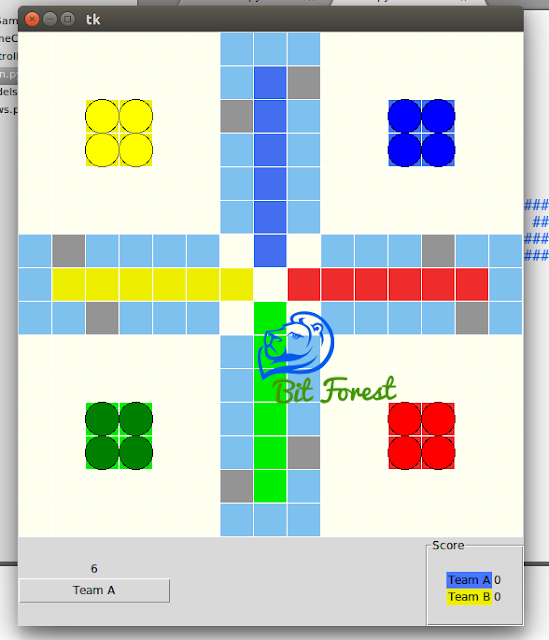 To Make This Game Easy To Write And Easy To Work, First We Will Create A Complete Grid Of Squares In Tkinter Canvas. Then, We will Create A Specific Train Like Track For Ludo Tokens In Those Square Grid. After That, We Will Use Tkinter Canvas create_oval Function For Representing Tokens In Canvas Grid and In The End, We Will Write Functions To Run These Game According To Ludo Game Rules And Also To Make Our Tutorial More Easy To Understand. Here, I Am Dividing These Tutorials In 4 Parts And In Current Part, We Will Write Simple GameConfig Script.